3D printing is a process of making a three-dimensional solid object of virtually any shape from a digital model and I guess it is a sign that what was a bleeding edge technology has now become mainstream when the London branch of Selfridges announce that the team at iMakr, a 3D printing workshop based in Clerkenwell in London are opening an in store studio. 3D printing uses an additive process, where successive layers of material are laid down in different shapes to slowly build up the final 3 dimensional shape. There a wide variety of file formats however some of the older formats do not support colours or textures, unfortunately the latest update to Chem3D for iPad can only export in stl format which does not support colours. PYMOL export as VRML2 (.wrl format). VMD export as VRML (.wrl format) or .stl format. It is important to note that the structures need to be a single non-disconnected model, it may also be necessary to add scaffolding struts to support the model during the printing process, these can be removed later. Henry Rzepa has detailed his exploration of 3D printing from Jmol on his blog. Scripps Physical Model Service A service providing 3D models maintained by Adam Gardner that was started by Prof. Art Olson of the Molecular Graphics Laboratory at The Scripps Research Institute, the structure needs to be in PDB format or a variety of 3D model formats. Adam is also an invaluable resource for answering questions! Blender open source tool for file conversion and manipulation. Chemtube3D has a number of chemical reaction transition states in both the .stl and .x3d format which work with most printers. MeshLab open source tool for file conversion and manipulation. Netfabb file checking and repair. 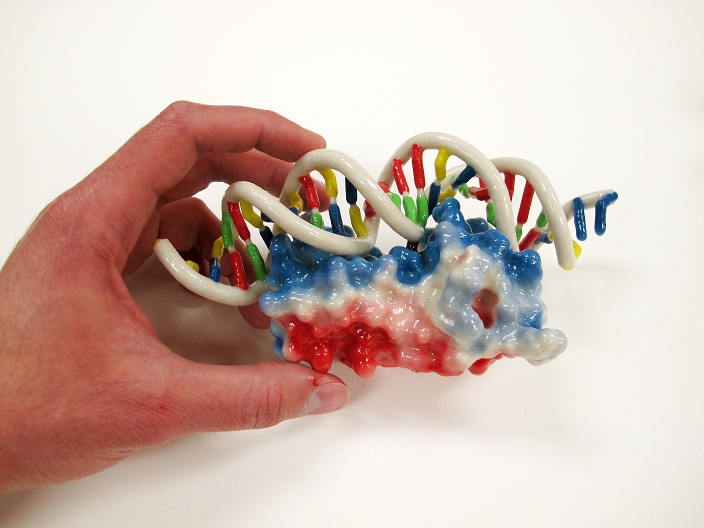 NIH 3D Print Exchange an open, comprehensive, and interactive website for searching, browsing, downloading, and sharing biomedical 3D print files, modeling tutorials, and educational material. Sculpteo file checking, repair and robustness check and printing. There is also a detailed video. There was an interesting presentation at the 248 ACS Meeting Accessing 3D Printable Structures Online Vincent F. Scalfani, Antony J. Williams, Robert M. Hanson, Jason E. Bara, Aileen Day, and Valery Tkachenko Science and Engineering Librarian, The University of Alabama vfscalfani@ua.edu 248th ACS National Meeting San Francisco, CA August 13, 2014 slideshare describing the construction of the RSC Crystal Data Repository of crystal structures all of which can be downloaded in a format suitable for 3D printing. 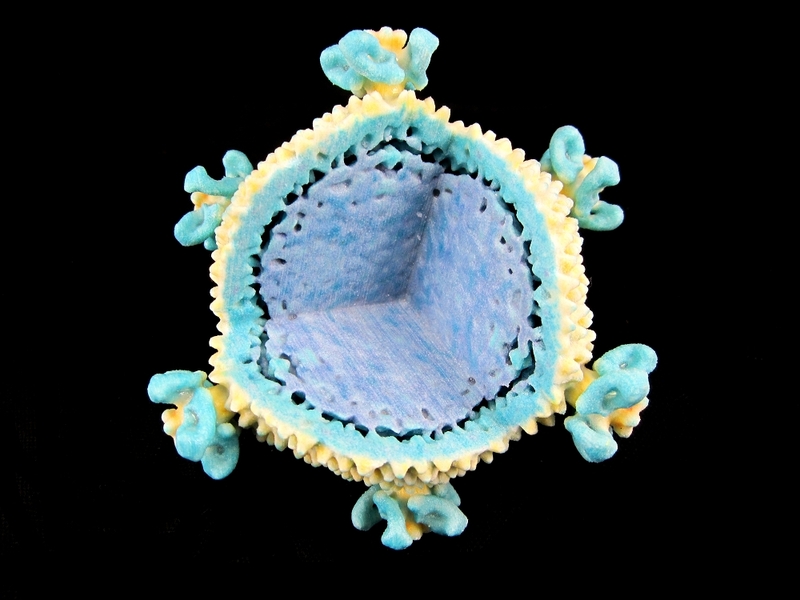 Currently contains: the entire Crystallography Open Database (COD) of 289,395 .cif and 48,022 .hkl files of molecules and extended solids; 3D Printable Files – 31,239 .wrl files (color printing) and 11,732 .stl files. 3 Still in beta mode, can manually browse through files. Repository will soon have user interface that is fully searchable (name, structure, formula, SMILES, InChI, and others) with deposition and crowd-source curation/ annotation platform. Fabrication approaches for the creation of physical models from microscopy data DOI A description of 3D printing from optical imaging methods, such as confocal microscopy and multiphoton microscopy. The creation of the models, discussed here, highlight similarities that can be applied to create models from many microscopy techniques including electron microscopy and other optical modalities. Where as the methods described above create a 3D object by printing it layer by layer a recent publication in Science DOI described a method by which the objects were created by passing light through liquid acrylate. Computed Axial Lithography (CAL), allows generation arbitrary geometries volumetrically through photopolymerization. The process was inspired by the 3D image construction used in CT scans.